We often get letters of thanks from missionaries who we support around the world. Here is a letter from Anne Hughes, who works in Spain in a cafe that shares the Gospel with people who take the long El Camino Santiago trail as a pilgrimage to get in touch with God. Frankly, many people end the trail very discouraged and Anne and her team are there to bring a message of hope. 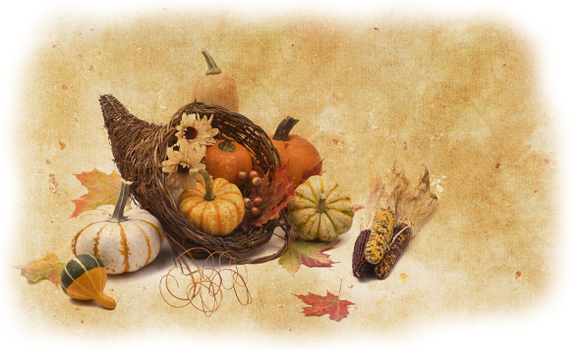 I hope this Thanksgiving finds you well, celebrating with family or good friends (who can be like family anyway, right?). Mark, I want you to know how grateful I am for your support this year. It hasn´t been easy, but your faithfulness, generosity, and willingness to give has meant so much to me. God has been incredibly faithful in His provision, and although I am not quite out of the woods, I am humbled greatly by how people like you have stepped up to help. I truly would not be in Spain without you. Thank you SO MUCH! Please know that pilgrims are also grateful for the work that is done at Pilgrim House, and you play a vital role in that. 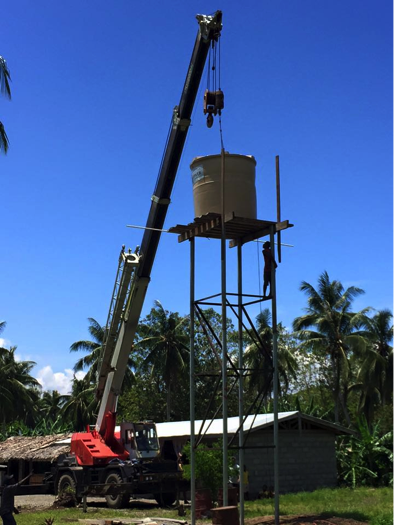 The water tower shown here was constructed by our friends in Solomon Islands in order to serve their campus with abundant clean water. 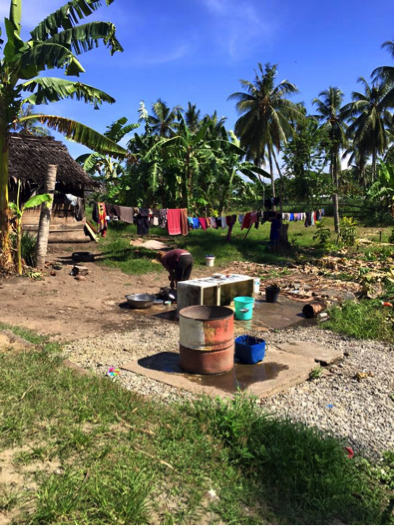 Prior to the deep-water well that we drilled (75 feet deep), the property had two shallow wells that were used for cleaning, drinking (after being boiled) and cooking. 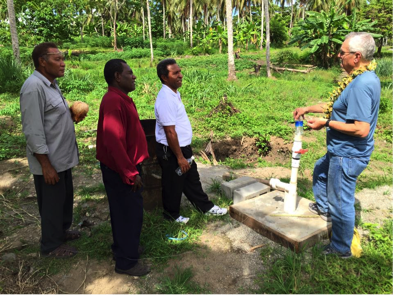 The deep well provides clean, drinkable water. As Titus himself says, this is a game changer. The water will serve not only the campus school (100 K-6 kids) and institute (training 35 live-in pastors), but will also be given to the surrounding community as living water. That is what abundance does! Three years ago I was in the Solomon Islands and saw the work Titus is doing. He has an outreach center that feeds street kids in Honiara, Guadalcanal. When some of the kids show the heart for the Gospel, he invites them to live at the institute. There they prepare for ministry or higher education. In the second year they are sent out as missionaries to the more than 300 occupied islands of the Solomons. After graduation, many will go to these islands to plant churches and remain as the pastors. This is the nature of Christian Advocacy. Titus loves the unwanted children of the streets of Honiara. He has advocated for them for a completely different life. Then he invites fellow advocates with unique skills and resources to be a part of his plan. We were privileged to partner with Grace Covenant Church in North Carolina in the development of this water system. Titus and his team is changing the world of the Solomon Islands! Meet Pastor Titus Luther, Senior Pastor of Gospel Light Foursquare Church and the National Leader of the Solomon Islands Foursquare Church. He is a husband and father of 6 kids. Of course if you want to include the many, many young people he “fathers” the number quickly goes to the hundreds. Titus came to Solomon Islands six years ago to plant a church in Honiara, Guadalcanal, the capital of SI. 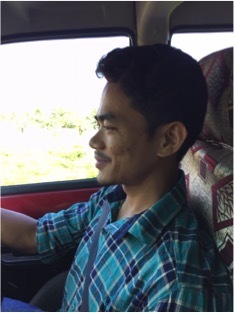 In his native Papua New Guinea, he was the national youth director. So when he arrived he was immediately drawn to the street kids who live in Honiara, one of the poorest cities in the world. It reminds Jim and me a lot of Haiti without the earthquake. Street kids are the unwanted children who grow up mostly illiterate on the streets scrounging out a living. He opened a youth center to feed the kids and share the Gospel. Many receive Jesus. Of those who he saw promise, he invited them to his Institute (there are about 100 here now). 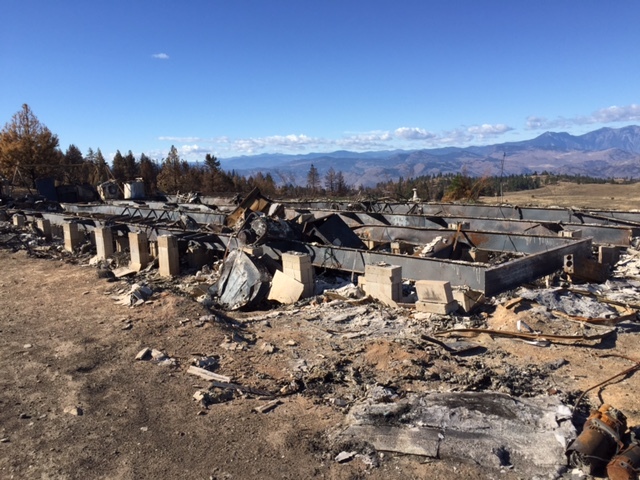 The Institute is a few acres of mostly undeveloped land far from the streets of the city. The men and women who come here are trained in reading, writing, and most importantly, the Word of God. 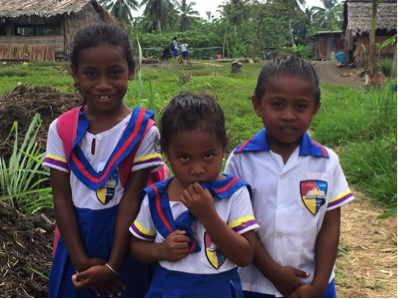 In their second year they go to one of the over 300 inhabited Solomon Islands to share Jesus. When they finally graduate, many of them will go to these islands to live and to plant churches. Others may continue for a higher education. 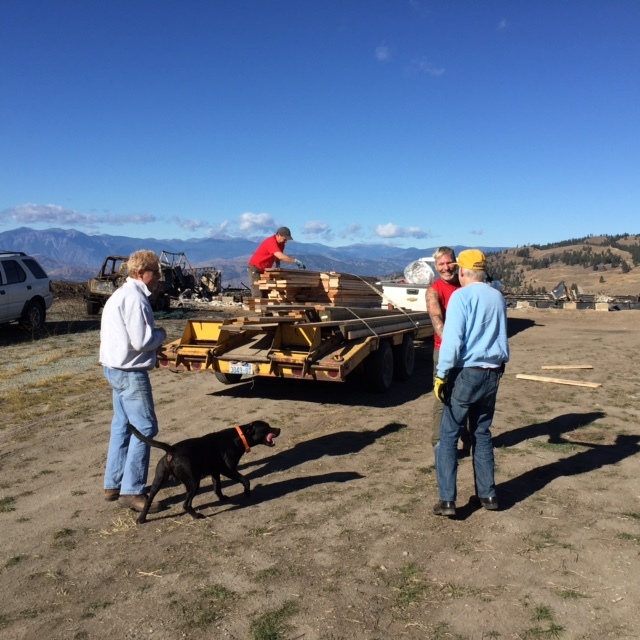 Jim Pringle and I arrived on Sunday and have been hard at work since. The folks from the church were still socially gathering. Children were everywhere (he also has a primary school – K-6 – that has about 85 kids. He has been given government approval (the Prime Minister of SI has recognized the work of the school and has come to the last two graduations. In fact, the young men and women from the Institute are sought by local businesses for work because of their work ethic and integrity, a reflection of the dedication of Titus to these kids. Daily life is considerably consumed with getting water. A shallow well with swampy water provides everything, including drinking and cooking water (they boil the water before using). They bring it up by the bucket load. There are people there from dawn to dusk. The water tower they constructed for us will have to be raised another 15 feet. We asked them to drill a deep well before we arrived and it is finished and able to provide 25 gallons per minute. Jim and I will be working with them to provide a complete campus water system – clean and filtered – that will last far into the future needs they are projecting. It will provide running water to every corner of the campus. Pray that our time and productivity will be multiplied. This is an amazing work and great to be a part of. Titus has repeatedly thanked us profusely for the impact this will have on his work here. Pastor Sanchang Phago leads a church of about 40 people in a village called Jhiljeli in SE Nepal. His church is in a region of serious unrest as Nepal wrestles with its identity as a secular nation. Just this past September Nepal’s Constituent Assembly rejected calls to re-declare Nepal as a Hindu state and remove the term ‘secularism’ from the new Constitution. This triggered protests by Hindu activists and four churches in this area were bombed. To add to Nepal’s trouble, India is rationing shipments of petroleum and other essential goods into Nepal, forcing them to seek trade relief from China. Prices are spiraling out-of-control in a nation that is among the poorest on Earth. Caught in the struggle are the low caste people who simply lack the resources to deal with these changes. Pastor Phago has his work cut out for him. He and the Christians in his congregation are being squeezed from every side. There is no economic advantage in Nepal to being a Christian. On the contrary, it may derail any economic or social opportunities a man or woman had previously enjoyed. His congregation is reeling under the weight of converging forces they are powerless to affect. The stories I read of Rome in the Book of Acts remind me of India and Nepal. Hinduism is essentially polytheist, relying on a complex system of traditions and sacrifices led by an elite priest caste, much like the Paganism of Rome. Hindus have no problem adding Jesus to the pantheon of gods. It is not unusual to meet a Hindu who will tell you that he loves Jesus, was saved by Jesus and had his life changed by Jesus… while at the same time he is on his way to the temple to offer incense to Ganesh, the elephant god. However, if you reject Hinduism and call yourself a Christian, you are no longer part of the community and are likely to be ostracized. Pastor Ajay, a church planter and friend (and former worshipper of Ganesh) has been encouraging church leaders in this part of Nepal. He runs a leaders training institute and has had a significant impact on the unity of churches in this region. He is a sacrificial advocate for the church leaders in this part of Nepal, like Pastor Phago. When I was in India last week he asked me to come and encourage the pastors of the region. I couldn’t possibly turn him down. But it is humbling to think that he would ask me to encourage these men. I live in a country where we do not pay a price to be Christians. We may not have the endorsement we have previously enjoyed from society at large, but we are free to believe and to express the love of Jesus to the hurting world around us. 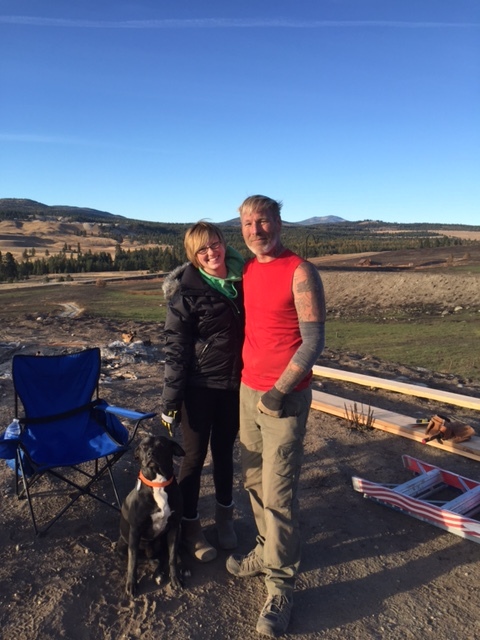 I met some amazing people — men and women who are struggling and have been discouraged of late. As privileged as I was to bring a word of encouragement, it was not my empathy, wisdom or experience that could make a difference – it was the word of God. And it was the dedication of an advocate named Pastor Ajay who knew what they needed in times like these when they are being squeezed from all sides. There is neither Jew nor Greek, there is neither slave nor free, there is no male and female, for you are all one in Christ Jesus. (Gal 3:28). Bright Hope English School is a Christian school that provides a free education for 100 minority girls in Northern India who would otherwise have very limited and difficult lives. We assist them by raising support for the girls ($40/month per girl). You can be a part of that by giving here. Next week and through the first weeks in November, a team from Beaverton will have the privilege of coming alongside Jonathan and the amazing teachers at the school to encourage and teach. Please pray for the team and for the school!